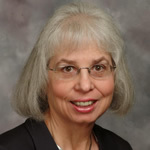 Aletha Honsowitz (J.D., M.L.S.) is Head of Public Services at the Thomas M. Cooley Law School Library - WMU/Grand Rapids Campus. Prior to her current position, she has held the following positions at Thomas M. Cooley Law School's Lansing Campus, Head of Educational Services, Lawyer/Librarian, Acting Library Director, Information Services Librarian and Assistant Information Services Librarian. Aletha has taught electronic and print resources in a variety of classes for 28 years during the library session of the class and team taught Advanced Legal Research for five years. She is a member of AALL, MichALL and GRALL.